EMBARQ Brazil’s Communications Manager Fernanda Boscaini and blogger extraordinaire Maria Fernanda Cavalcanti accept the TopBlog Award at a ceremony in São Paulo. Photo by EMBARQ Brazil. Thank you, TheCityFixer! With the power of your vote, TheCityFix Brasil was selected for the second consecutive time as the best sustainability blog in Brazil by TopBlog. Different from previous TopBlog awards, this is the first time TheCityFix Brasil has taken the prize by popular vote in the Professional category. This means this victory is especially special to us on TheCityFix team. Thank you for believing that it is possible to build stronger, more resilient cities through intelligent dialogue and innovative ideas. The city is our inspiration, our passion, our home. This city is where we build dreams and design our lives every day. When we think we know all about it, the city comes and yells loudly – with new voices, different sights, and an ever transforming movement of people – that there is still much to be revealed. This award shows that the dream of building human-centred cities is in all of us. Thank you, and congratulations to our friends and partners at TheCityFix Brasil! 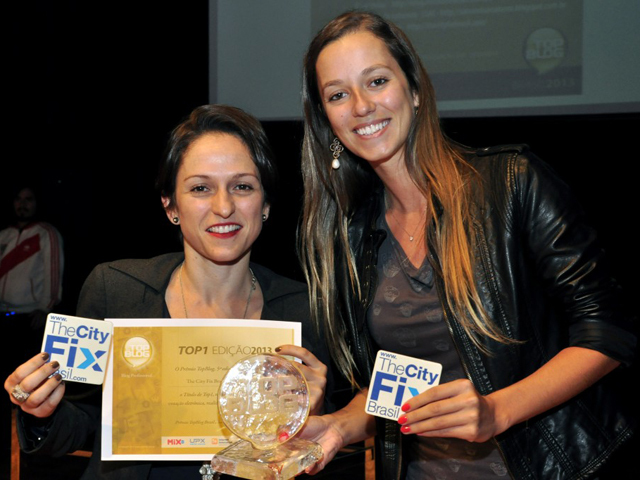 Read more about the TopBlog win in Portuguese at TheCityFix Brasil.